Both research and lived experience confirm the importance of friendship in our lives. We know how difficult and sometimes hilariously awkward it can be to make new friends as an adult, especially in this fast-paced city and social media era where your “friends” aren’t always the people you can lean on or invite over to binge-watch a season of reality TV. 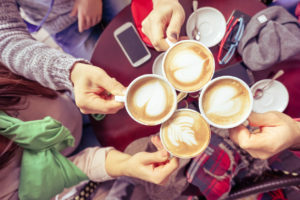 Connect with other local women at our ever-popular speed-friend-making event. Come alone or bring a friend, and leave with new friendship prospects during a night of speed socializing. Following Friend Request, we’ll curate three follow-up events to give you more opportunities to build new friendships and deepen the conversation. There will be two speed-friending circles on this night—one for women in their 20s and one for women in their 30s. Sign up for the group that feels like the right fit for you. For women in their 20s and 30s. Open to anyone who identifies as a woman.